No Orion V CNG pics, every time you went to Flushing lol. Yeah I questioned the backing up part. I heard that they tested an artic at the terminal before. The Q6 picks up alot more passengers at Supthin Blvd/Jamaica/Archer than it does at the terminal. They should start/end the artics on the route there. There isnt much of a ridership to the terminal from there as well. 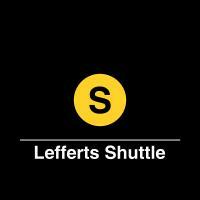 Its as if JFK and FR depots have merged, and the buses aren't assigned to one or the other but both. Welcome back Bees, even though I didnt get photos the last time. DSC01440-2 by r44cng5417, on Flickr DSC01442-2 by r44cng5417, on Flickr DSC01443-2 by r44cng5417, on Flickr DSC01445-2 by r44cng5417, on Flickr DSC01446-2 by r44cng5417, on Flickr DSC01448-2 by r44cng5417, on Flickr DSC01449-2 by r44cng5417, on Flickr DSC01450-2 by r44cng5417, on Flickr Others: DSC01469-2 by r44cng5417, on Flickr Hmm... an X64 in service at 165th St Bus Terminal (sunlight messed it up) DSC01429-2 by r44cng5417, on Flickr DSC01428-2 by r44cng5417, on Flickr The axles on the bus below!! !....FINISHED DSC01434-2 by r44cng5417, on Flickr Thanks for viewing! Yeah they can put it on the 11 but not the 6 smfh . Nice catch and pics anyway!